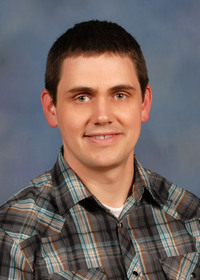 The information presented on this page was originally released on March 26, 2012. It may not be outdated, but please search our site for more current information. If you plan to quote or reference this information in a publication, please check with the Extension specialist or author before proceeding. Home gardeners show a growing interest in using native plants in the landscape, as these have a high tolerance for local environmental conditions. While they have a better chance of survival, they are sometimes limited in their ability to create excitement in the landscape. I want to introduce you to some native plants that have no problem adding pizazz to a landscape. Two you should consider are butterfly weed and Virginia sweetspire. Both have been named Mississippi Medallion winners for their superior garden and landscape performance. 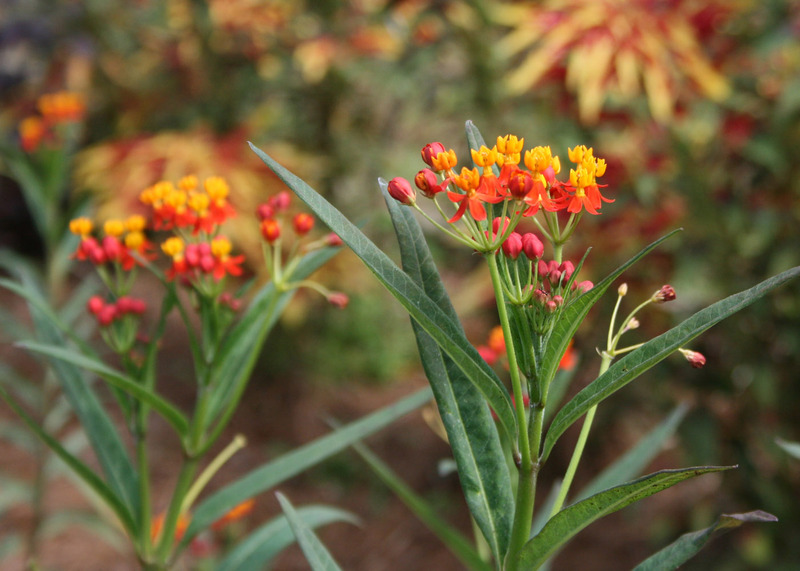 Chosen for 2012 honors, butterfly weed is low maintenance, attracts a lot of butterflies and is deer resistant. This plant is a common sight along highways during the late summer months. Its deep orange flowers stand out on cut embankments as a testament to its hardiness. Known botanically as Asclepias tuberosa, butterfly weed grows up to 36 inches tall and 24 inches wide. This plant has an upright, clumping growth habit. The clusters of tubular flowers come in various shades of orange, and some flowers are almost yellow or red. Try combining orange-flowered butterfly weed with bluish-purple globe thistle and blue Russian sage for a dynamic color contrast. You can get some good dried arrangement material if you remove and dry the seedpods just before they open. Removing the seedpods also reduces reseeding. Butterfly weed lives up to its name in late summer as a butterfly magnet. It is the primary food source for Monarch caterpillars. Butterfly weed can grow anywhere in Mississippi where there is good drainage. This plant does not like to have wet feet. If you’re looking to plant something in a wet area, consider swamp milkweed, a close relative that grows better in wet conditions. Swamp milkweed, or Asclepias incarnata, has flowers that trend from red to pink to white. Virginia sweetspire was chosen as a Mississippi Medallion winner in 2011. This plant is a real landscape overachiever and has three seasons of interest. In the spring, it produces small, star-shaped flowers on arching racemes that are up to 6 inches long. On still days, you can enjoy their sweet fragrance when you walk by. Virginia sweetspire can be a little casual in its growth habit and can grow 3 to 6 feet tall and wide in a landscape setting. In a more formal setting, keep stragglers neat and tidy with light pruning, but remember to do this after flowering. 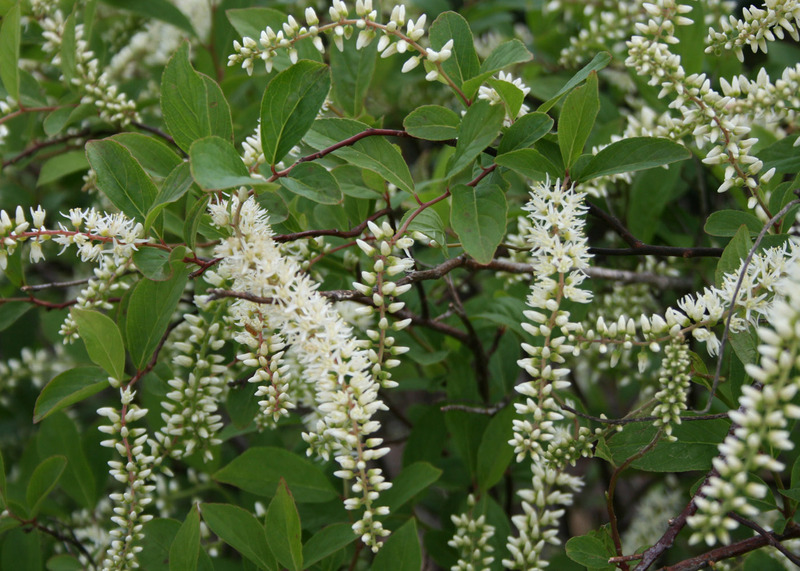 Like many spring-flowering shrubs, the flowers of Virginia sweetspire are formed on the previous year’s stems. In the summer, the foliage is a pleasing dark green and makes a great backdrop for summer-flowering annuals. The foliage changes to a brilliant red color in the fall. Though Virginia sweetspire is deciduous, its bright red leaves will persist until the first hard freeze. Mississippi Medallion plants are selected for their outstanding garden performance. The program promotes awareness of these outstanding plants and is sponsored by the Mississippi State University Extension Service, the Mississippi Nursery and Landscape Association, the Mississippi Agricultural and Forestry Experiment Station, and the Mississippi Plant Selection committee. More than 60 outstanding plants have been selected as Mississippi Medallion winners over the last 16 years. Try some of these excellent selections in your landscape this year.